Come summer, every average Indian household brings out its favourite tool to battle the heat of the season – the air cooler. Be it the traditional steel body cooler or the more suave and smart one with plastic body, you need to go through a routine of cleaning and maintenance to get the best out of it. Although with the advancement of time, this pain is being cut down by using better materials and technology. Maharaja Whiteline Atlanto+ Desert Cooler is one such example. Here is a concise DIY tips for keeping your cooler clean and performing across the season. First things first. Because your cooler has been lying idle for several months now, it is bound to have become home to piles of dust. Wield your cleaning tools and get on the job even before putting the machine on. By cleaning your cooler, you are taking up its efficiency by a few notches. So, wash and wipe clean the body, tank, panels and filter pads. You may also use some cleaner solution to ease your job. Ou may even put some water soluble fragrant oil in the tank, so that next time you put it on, it doesn’t just cool your room but set the mood as well. 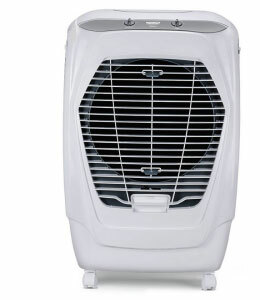 The motor is the protagonist of the air cooler story. The better it performs, the cooler your room gets. Assuming there are no electrical faults, and the basic cleaning has been done, all you need to do is a good oiling job. It’s easy, you don’t need any professional help for that. Just get a bottle of lubricating oil from the market and put few drops at different places. Check the entire water distribution system, including the tubes for any crack or leakages. This makes sure the motor and pump run smooth and quietly across the season. The fan is what brings you the air. Hence, for assured chill, take good care of the blades. Clean them and check for loose ends on the fan belt. You may take the help of an electrician to determine this and take corrective actions. 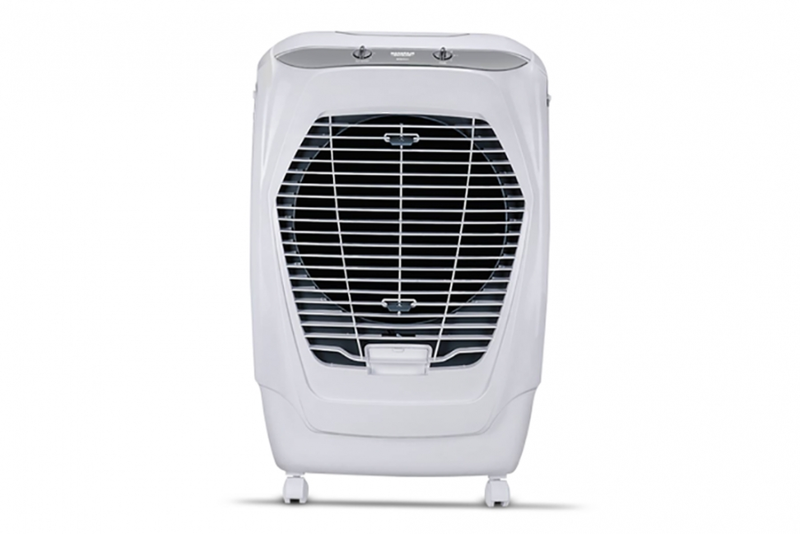 This can improve the efficiency of the air cooler to a greater extent. Do check the electrical wiring and switches for loose connection and worn out insulation. There is another important part that you can’t ignore in your air cooler – the cooling pads. Ideally, you should change it every season. But not if you are using a Maharaja Whiteline Desert Cooler. They feature honeycomb pads that provide maximum performance with minimum maintenance. All you need to do is clean them and check if they are seated properly. Once done, turn on the water supply to find out if water is running through the entire cooler pad or not. Too little water will cause dry spots and reduce the cooler’s efficiency. The air cooler is going to stay there for the next 3-4 months. Take care of the detailing and you’ll be spared the hassle of cleaning it again or maintaining it. Disconnect the power to the air cooler when not in use. This not only saves on your power bill but prevents wear and tear as well. Clean the dust on the body using a brush every day. Never put dirty water in the tank. If you are packing it off, let the whole system dry out, before doing so. It isn’t a big task to run and maintain an air cooler in its full efficiency. Just follow the above steps and spend a healthy and happy summer. If you think we’ve missed anything, or if know of more ways, let us know in the comments below or on www.facebook.com/maharajawhitelineindia. You can also tweet us @ Mwhiteline. Have a great summer!